Read through some of the reviews by previous Aruba Surf Resort guests. We have just returned from a stay at Aruba Surf and can't wait to get back. Clean, comfortable, staff are friendly and helpful and you couldn't ask for a more fantastic location in the heart of Broadbeach. We will be back. Just spent a lovely week here, first time at Aruba surf, have stayed at one of the others before and wasn't disappointed the standard is pretty much the same, clean comfortable well equipped and value for money, easy access to nearby attractions, walking distance to quality restaurants, Broadbeach is my favourite place to stay and I try to get back here every year, we enjoyed our stay and made some more memories, recommended, thank you. Carol & Bruce Bennett - Auckland ,New Zealand. My sister and I have just spent a very enjoyable week at Aruba Surf in Broadbeach. Tess and Ben could not have been more helpful and added greatly to our very positive experience. Gardens are beautifully maintained, units are clean and comfortable and the location is excellent...so close to Pacific Fair and the Transport centre. Our 2 bdrm unit contained 2 separate bathrooms, 2 balconies, a washing machine and dryer, a full kitchen and a kitchenette and 2 tvs. We got 1 days free wifi and the option to purchase more, but it was easier to use the free wifi at Pacific Fair. Although there is no lift, Ben was very happy to take down my suitcase for me...thank you Ben. Dear Tess and Ben, recently we stayed at your resort after our accommodation at another resort fell through due to a lack of amenities. The friendly guidance and help offered by you both was outstanding. The boutique apartments were well finished and of a reasonable size with a well-furnished kitchen and a good sized fridge and a normal oven, as well as a micro wave. The outlook from your apartments was very good and located in a quiet street. Location to the casino, pacific fair and oasis shopping centres, and Broadbeach itself was spot on. We appreciated your help with all our booking arrangements and also the courteous help in fixing some previous bookings. We would thoroughly recommend this facility for anybody looking for a reasonably priced holiday in an absolutely prime location. Also the heated pool and spa were gorgeous. Thanking you both for enabling us to have a wonderful, carefree stay at your resort in late June / July 2016. Thanks for our most pleasant stay @ your motel recently. Would love to come again one day. fantastic couple of days away last November. Lovely warm welcome, really clean fresh room and fantastic location. So close to everything. 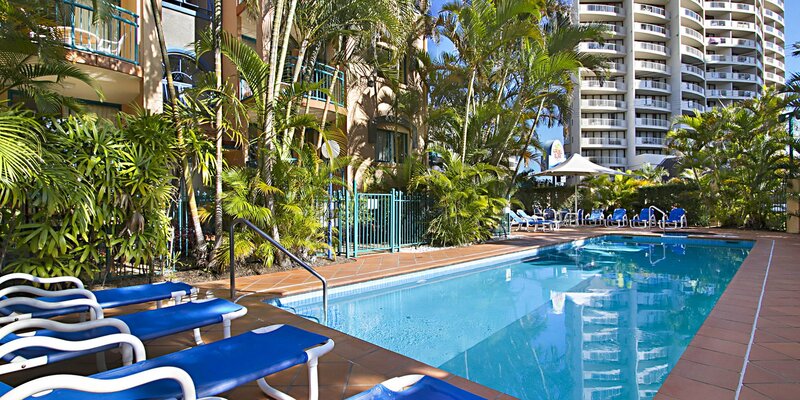 Can only think of positives about this fantastic resort and when staying at the Gold Coast I definitely won't be staying anywhere else from now on. we have just spent 7 relaxing days and will definitely be booking for next year. Apartment was excellent as was the pool on those hot days. Would recommend this resort as it was clean handy to shopping, casino, train. My husband and myself spent 5 nights at Aruba and would definately go back again. So relaxing after having a busy day out to be able to sit on the balcony and relax looking at the beautiful gardens. We had a 1 bdrm apartment which was very comfortable and clean and had everything we needed. Afterhours check in was a breeze. Aruba is so central to the beach, shops public transport (if needed) all within easy walking distance. I was also impressed with the friendly atmosphere at Aruba. Our hosts were so very pleasant and more than willing to help with any enquiries we made. I would definately recommend Aruba Surf Resort to anyone wanting good and very clean accomodation with a very safe and friendly atomosphere Thank you for a pleasant and memorable holiday Stuart and Denise. Had a fantastic stay at the Aruba Surf Resort. Love the two bedroom layout, comfortable beds and great services. Great stay. Close to everything, quiet and comfortable. Would definitely stay again. Had a lovely experience here at the start of the year, very clean great pool and BBQ area. We will definitely be coming back here when we visit Broadbeach again! All the ladies enjoyed every part of our time away. Your resort is a very comfortable and relaxed place to stay. The ladies loved relaxing beside the pool. I am sure we all will stay with you again. 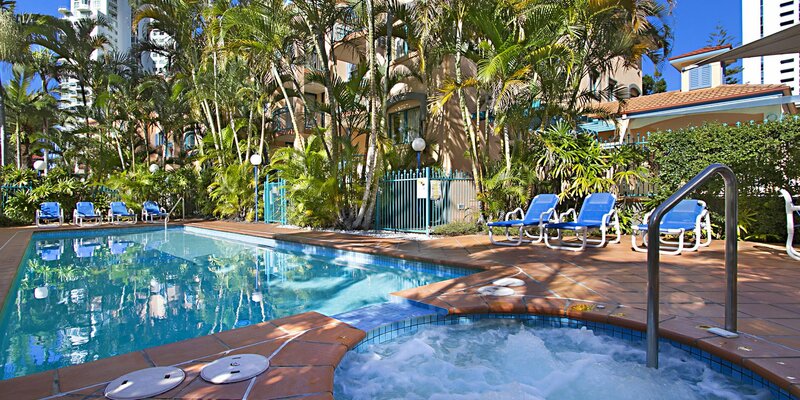 As you know it was Peggy and my second time staying with you and we wouldn't need to stay anywhere else in Broadbeach. 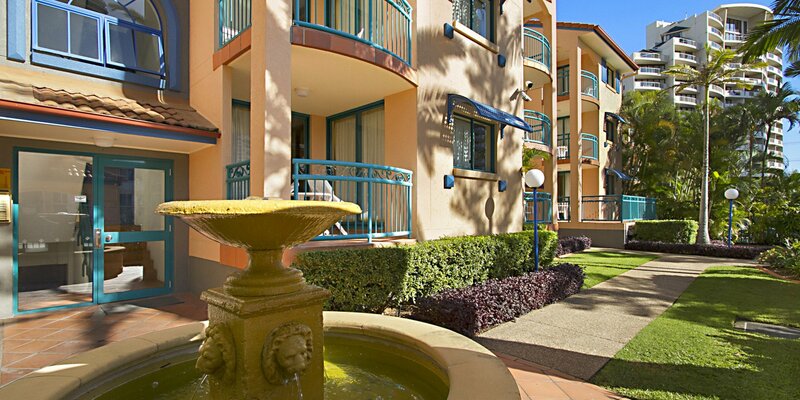 Really enjoyed staying here ... nice and quiet, clean, friendly staff, centrally located to shops, restaurants, beaches and parklands. Great value for money. Thanks!" I found the accommodation to be very clean and comfortable. 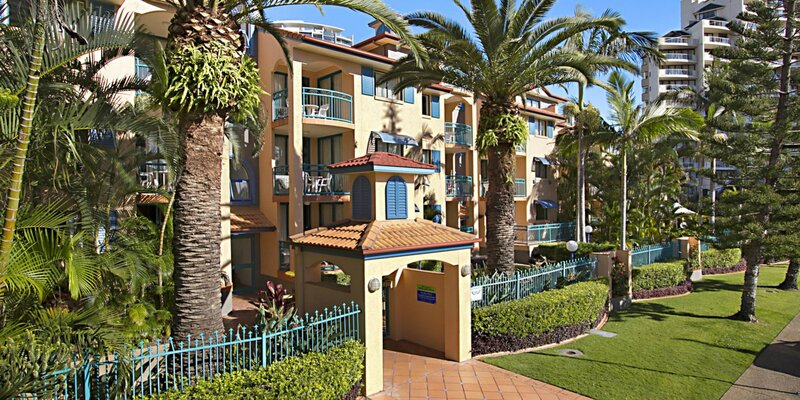 It was also within easy walking distance of the beach and the main Broadbeach shopping area. I like the fact that the ground floor entrance can only be accessed by a key thereby giving extra security. I agree with all of what Hayley has said! Thanks again for another wonderful stay in paradise! I recommend staying at this wonderful resort to everyone. Denise and Stuart are so lovely and accommodating. I will be back for sure! Thank you for a lovely few days.